Gambling has always fascinated people. Even today, a visit to a casino is a highlight. But if you want to be more comfortable and play games from home, you don’t have to be content with Uno anymore. The Internet and technological progress make it possible to be online anytime, anywhere and to gamble as well. So you can play and have fun on the go, in a bar or even on the couch in your own four walls with players who are spread all over the world. In addition to the wide range of games of chance, slot machines, dice and card games, there are other video games in the genres of strategy, action and jump and run. But in order to have access to the extensive entertainment offer, you first have to create a user account at an online casino. Which one you ultimately choose is an individual thing, but there are a few criteria to consider in order not to fall for a fake provider, which are explained in the following article. There are many opinions on the subject of gambling which diverge widely. Due to the negative attitude in society, the black market and the risks of gambling addiction, it has not been possible for many to perceive online gambling on the Internet for a long time. This has only been possible in Germany since 2012. Before that, it was common for many Germans to target foreign online casinos via a VPN server and play there. However, the problems were that the winnings were then on the user account and could not simply be transferred to their own account, because the whole action was unfortunately not legal. Fortunately this has changed and in many respects to the positive. Now that the offer was legal, the opinion about gambling has changed. Also because of the better regulation, which could additionally push back the black market. Better control of the market has also reduced the dangers of gambling addiction. This is due to the anonymous contact persons and help groups who can be contacted via the online casinos as well as the control of the persons in charge of an online casino who can judge from the gaming behaviour of a customer how endangered it is for an addiction to gambling. The market is now very well regulated and controlled. Public as well as private inspection authorities test the providers of online casinos for the most important factors. If you want to create an account with a platform, you usually go on a search for customer opinions. This is actually also a good way to research, since different opinions clash and discussions arise. Of course, these conversations are not always useful. Especially with customer recessions of online casinos caution must be required. There were in the past some cases of fake evaluations, which were to be found on different sides. Interested people saw numerous wrong reviews and opinions, made a user account with a platform, deposited money and regretted after a short time their decision again. The good thing is, however, that the number of such fake sites has dropped sharply since licensed online casinos are fully allowed in Germany. Before explaining the most important criteria for a trustworthy online casino, we will briefly discuss the signs of a fake online casino. Most platforms, which offer their services online, offer a bonus when registering. 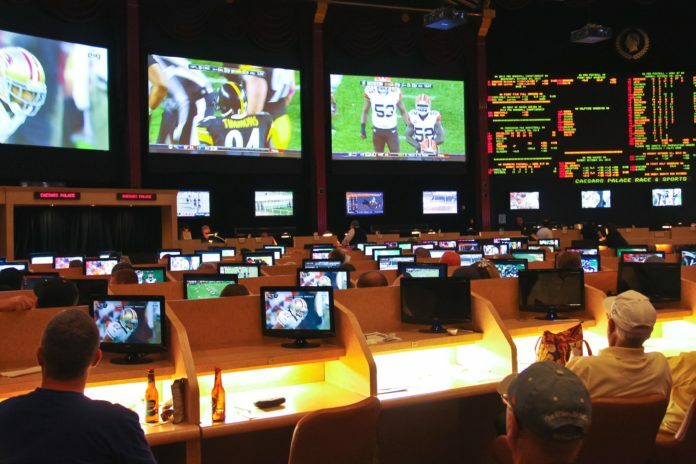 Be it Amazon, which offers a Prime Account free for one month or providers of sports bets, which give free bets or bonuses on the first deposit. This is how both good and bad online casinos do it. Fake online casinos, however, turn up a little too much. Some of them advertised with more than 500 Euro bonus on the first deposit of 100 Euro. The average of bonus payments is 100 percent on the deposited sum, up to 100 euros – quite large and well-known online casinos up to a maximum of 150 euros, but no more. Further characteristics for a Fake on-line Casino can be bad translations and references or missing data to the enterprise. You should definitely have a closer look at the homepage of the online casino before you create an account there and deposit money on it. This is because fraud often only comes to light when you have won a game and want to pay out the money. Then the money disappears from the user account, but never arrives on your own account or errors are displayed in the transfer, which should not actually exist. But there were also cases in which the personal and account data, including credit card data, were resold to third parties or also that the algorithms of the games were rewritten so that the player could not win the game at all. But the end of the song of cheating is usually the same, you lose your money. To ensure that this does not happen, there are a few but crucial points to consider when choosing a reputable online casino. The first point is the license for gambling. This comes from Malta, Gibraltar, Curacao, England and some other countries where gambling is allowed. If you cannot find a license on the homepage of an online casino, you should never deposit money. A further quality feature, which guarantees the security of the platform, are the certificates, which can come from national and international level as well as from public and private side. German certificates and test centers are for example the TÜV or the German Lotteriegesellschaft. The quality seals received, together with the licenses, are usually visible at first glance on the start page of an online casino. If you are looking for a provider, you will usually find comparison pages like this one here. There are both large established platforms and new smaller enterprises, including further information and tests to be found. Since the above link only shows online casino providers in the list who have a valid license and trusted certificates, the risk of falling for a fake is zero. Further decision criteria are the bonus payments and premiums, the entire game offer as well as the chances of winning with gambling. On the link you can find further information about gambling such as tips and tricks for long-term success as well as contacts for general questions and concerns or even worries about gambling addiction.